The elephant has always been one of the the most important animals in Thailand. They were used for warfare, for doing heavy work like logging, and they were a symbol of power, wealth and prestige. To this day the king of Thailand keeps a stable of white elephants which are very rare and considered highly auspicious. Well, they are not exactly snow white, but they are much more light skinned that the usually very dark skinned animals. However training elephants to become domesticated work animals can be a traumatic and painful experience for the animals since it takes quite a lot to break the will and the sense of freedom of those giants. With the advent of powerful machinery, elephants lost their traditional jobs. But they still have to eat and they are very expensive to maintain. This caused a big problem for their owners. Most of them turned to the tourism industry, selling elephant rides and having the animal perform for an audience. Although it is illegal, many elephant owners drive their animals, and often very young ones, through towns and cities to have them beg for food. Walking around in traffic, on hard pavement, surrounded by noise and pollution is naturally a stressful event for the animals. So with the changing times, the elephants along with their owners got caught in a difficult situation which is often stressful for both of them. One woman from northern Thailand, Lek Chailert, took this situation to heart and decided to do something about it. She founded Elephant Nature Park (elephantnaturepark.org) and began rescuing distressed, sick, orphaned, and neglected elephants. The animals found a sanctuary where they could live their lives in nature with dignity and peace. Lek became like a mother for the elephants and nursed quite a few of them back to health. 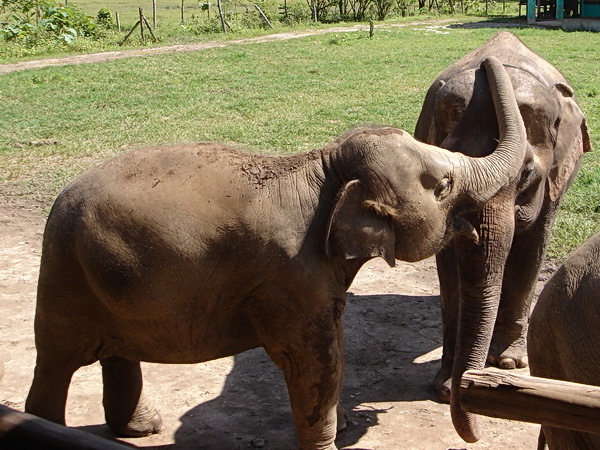 Visiting Elephant Nature Park is a real inspiration and it touches your heart. A lot of the work is done by volunteers who donate their time and money to keep the project going. I visited her sanctuary and recorded how the animals spend their lives and wove it into a captivating story. Is Thailand Really a Paradise? Why Does Thailand Have More Than One New Year?